Peter has over 15 years experience in blue chip management consulting at The Boston Consulting Group and lately as a Partner at Accenture. He is a co-founder and managing director of Exalt Management Consulting Limited. Certified Diploma in Accounting and Finance (ACCA). Cambridge University (1989 - 1992) Master of Arts (Engineering, Upper Second Class), awarded College Prize. Cambridge University (1992-1993) Masters Degree in Engineering awarded with Distinction and Prize Scholarship. 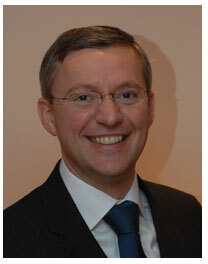 2008 – 2009 Partner, Europe lead, transformation team. 2006 – 2007 Strategy Partner. 2000 - 2006 Senior Manager. Peter is a trusted advisor. 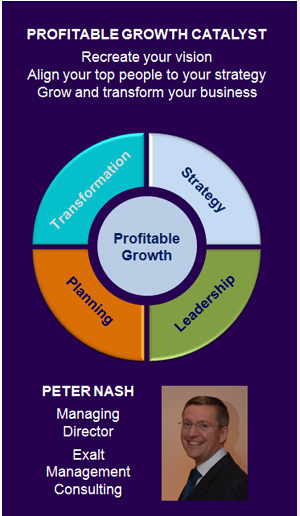 He advises clients on Vision, Strategy, Planning and Business Model Change.